A passion for Alaska camping, glacier and wildlife day tours and the Prince William Sound wilderness defines Anadyr Adventures, the original and still the best sea kayaking company in Valdez, Alaska. Choose from a variety of day excursions, multiday wilderness camping trips, lodge based trips in an Alaskan ghost town and mothership based tours. Work with us to design a trip customized to your interests. Anadyr Adventures operates under special use permits from Chugach National Forest and the Alaska Division of Parks. We are proud to work with Valdez City Schools and Advocates for Victims of Violence to introduce kids to paddling. And we are proud to have received the the 2004 Spirit of Alaska award, presented by ATIA to the Alaskan business best exemplifying the Alaskan spirit of community and public service. Established in 1989, Anadyr Adventures offers naturalist guided sea-kayaking, sailing and hiking trips to novice and experienced kayakers, families, kids and the physically challenged. 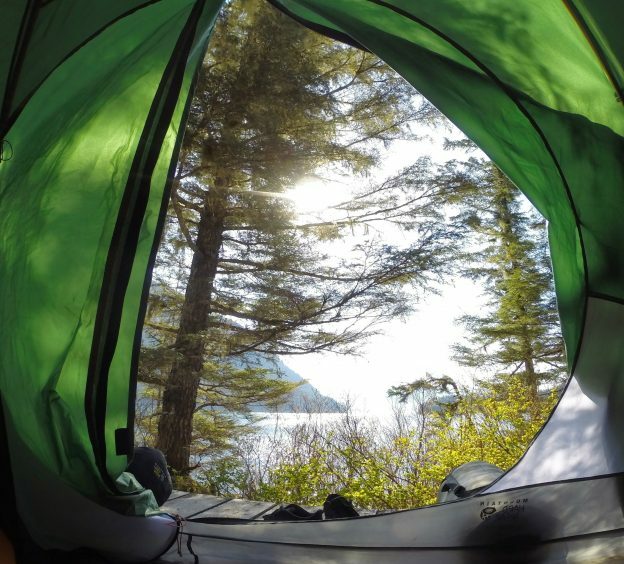 We are a company dedicated to sharing with you the beauty of Prince William Sound wilderness. Our groups are small, our impact is low and sustainable tourism is in the forefront of our agenda. Valdez has been our home since 1984. Through the years we have kayaked, sailed and hiked Prince William Sound extensively. Consequently, we are uniquely positioned to help you plan your trip. You may choose from a wide range of trips with varying levels of difficulty and comfort; from easy, suitable for novice paddlers and kids, to strenuous, geared for the more experienced paddlers. Our guided trips throughout Prince William Sound are small and intimate, giving you the perfect opportunity to view your surroundings and the abundant wildlife in a way that most larger tour companies simply cannot offer. The trips we have listed are not exclusive…. in fact, many great tours have not made it on these pages! If you don’t see anything that immediately excites you, feel free to call for new ideas. You will find our staff knowledgeable, our pricing to be reasonable and affordable. We pride ourselves on providing honest and accurate information so that your expectations are well matched with what we can deliver. Don’t hesitate to call or write with your questions at any time. Anadyr Adventures is a proud member of the Anchorage Convention & Visitors Bureau, Valdez Convention and Visitors Bureau, Valdez Chamber of Commerce, Tok Chamber of Commrs, Valdez Trails Associations, Alaska State Parks Advisory Board and Alaska’s Wilderness Recreation & Tourism Association. We support local conservation organizations and encourages our clients to make a $1-A-Day voluntary donation to organizations working to conserve Alaska’s wilderness. We are proud to have received ATIA’s Spirit of Alaska award in 2004. Why choose Anadyr Adventures for your Alaska sea kayaking adventure? Anadyr Adventures has 28 years of experience leading quality sea-kayaking and hiking trips in Prince William Sound. We carefully select only the safest, reliable and knowledgeable guides to lead you. Our guides are top professionals, who not only teach their skill, but offer interpretive discussions of the local history, geology, flora, and fauna. Whenever possible we make a point to employ locally in order to benefit the local community and its economy directly, thereby providing further incentive for local support and preservation of natural areas and wildlife habitat. Because we are locally owned, we have more in-depth knowledge to share with you. The majority of our guides are Alaskans as well. Their knowledge of the Alaska wilderness, not to mention our native fauna & flora, was gained from years of first-hand experience in the backcountry, and not read from a book a few months prior to your tour. Your guide will not simply be another guest on the trip with you, but will have valuable insight to offer and practical knowledge to share on the areas you’ll be paddling through. We strive to make sure our guides are equally well versed in the natural history & geology of the area and often employ university professors and museum curators to assist with our training. Finally, we pride ourselves on offering personalized service. 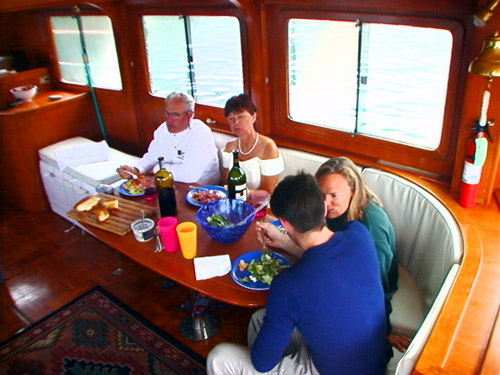 We maintain small group sizes allowing us to ensure the highest quality of tours. We make every effort to coordinate our groups so the interests of our individual clients and guide complement one another. Please don’t hesitate to use “our client feedback” page to ask questions from our former guests. Valdez is located on the north shore of Port Valdez, a deep water fjord in Prince William Sound. Referred to as “Little Switzerland”, Valdez is surrounded by breathtaking snow capped mountains. Valdez lies 305 road miles east of Anchorage, and 364 road miles south of Fairbanks. Valdez can be reached by the Alaska Marine Highway. The state ferry provides transport to and from Whittier, Cordova, Kodiak, Seward and Homer. It takes 6 hours from Whittier to reach Valdez via the ferry system. Alaska Airlines has two, and sometimes three, daily flights from Anchorage. The flight from Anchorage to Valdez takes 40 minutes. Our advice is to make your reservation for an earlier flight or even for the day before to avoid potential flight cancellations. The Richardson Highway connects Valdez to Anchorage, Fairbanks and Canada. Driving time from Anchorage to Valdez is 6 hours. Allow ample time for driving because the highways are very scenic and you’ll want to stop to admire the view and take pictures. Along the way there are a number of roadside lodges and campgrounds. If you are driving from Anchorage we recommend food and lodging at Sheep Mountain Lodge. Once you reach Thompson Pass and enter Keystone Canyon, you are getting close to Valdez. Follow the Richardson Highway into town, ( about 10 miles), passing a number of RV Parks. Turn left on Chitna Drive, go to the end ( 2 short blocks) turn right on North Harbor Drive. We are located three buildings down on the right hand side at 225 North Harbor Drive. If you see a place called Fish Central or Mike’s Palace, you have just passed our office. For a complete listing of accommodations, tours, and services in Valdez, please visit our helpful travel links. Surrounded by Chugach National Forest and protected from the stormy weather of the Gulf of Alaska by Montague and Hinchinbrook Islands, Prince William Sound covers an area of approximately 15,000 square miles with more than 2,500 miles of convoluted and rugged shoreline. Fifteen major islands, nineteen minor islands and 200 smaller islands are scattered throughout the area. From the many icefields covering the vallies of the Chugach Mountains flow more than 150 glaciers with 17 reaching sea level. The climate is maritime with moderate temperatures and an average precipitation of 100 inches annually. 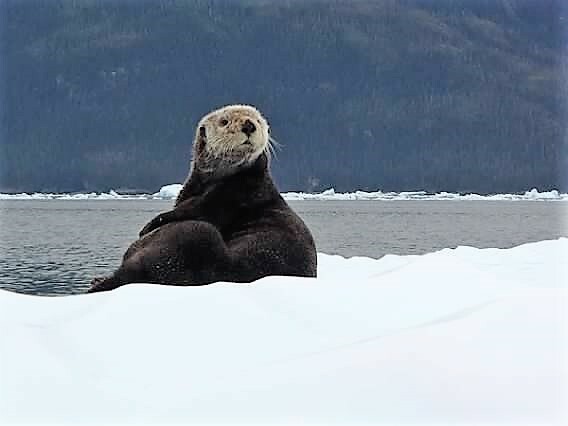 Prince William Sound has the greatest diversity of wildlife habitat along the entire northern Pacific Coast. Two hundred forty species of birds have been observed, ranging from the tiny rufus hummingbird to the mighty bald eagle, and during spring and fall migration tens of millions of migratory birds traverse the area. 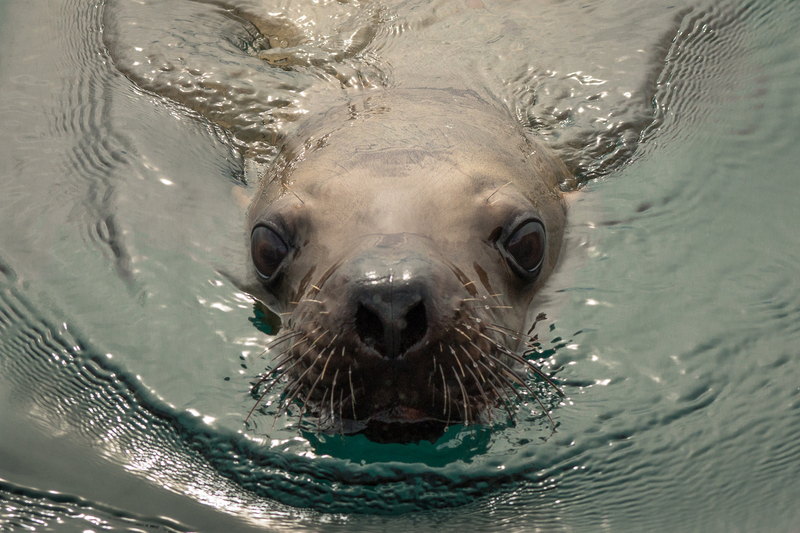 Humpback, killer, and minke whales, seals and Steller sea lions reside in this marine environment. Thirty different land mammals have been recorded in Prince William Sound. Most easily spotted are Sitka deer, black bears and mountain goats. Commercial and sports fishermen harvest five species of Pacific salmon as well as halibut, shrimp, crab, herring and bottom fish in the rich waters of the Sound. This vast resource of natural beauty and wildlife is easily accessible to you through Anadyr Adventures.